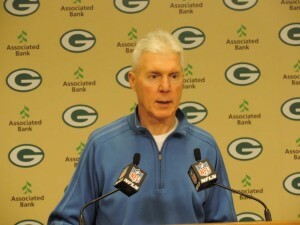 It is no secret that Green Bay Packers General Manager Ted Thompson takes pride in collecting draft picks. More than a month out from the April 30-May 2 NFL Draft in Chicago, the Packers have been awarded two additional compensatory picks. The Green Bay Packers have confirmed reports that six assistant coaches, have been released by head coach Mike McCarthy. The firings include Defensive Coordinator Bob Sanders, Defensive Ends Coach Carl Hairston, Defensive Tackles Coach Robert Nunn, Secondary Coach Kurth Schottenheimer, Defensive Nickel Package/Cornerbacks Coach Lionel Washington and Strength & conditioning Coordinator Rock Gullickson. 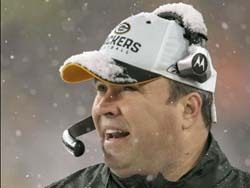 Mike McCarthy is looking for a new defensive coordinator in Green Bay. According to the NationalFootballPost.com , McCarthy fired defensive coordinator Bob Sanders, after the Packers finished 20th in yards allowed and 22nd in points allowed this season. The inability to stop the run, rush the passer and prevent big plays defensively all helped lead to a 6-10 record this past season. McCarthy will have to consider whether he wants to stick with a 4-3 or a 3-4 defensive scheme. A switch to a 3-4 would require major changes in the types of defensive lineman and linebackers the team would use. McCarthy has a potential candidate on the current staff in linebackers coach and assistant head coach Winston Moss. Moss has worked in Sanders 4-3 scheme for the last three seasons. Another possible candidate from outside the organization, Jim Haslett favors a 4-3 scheme. There are a number of former head coaches who were fired this year or are serving as position coaches that are also available, including former 49ers coach Mike Nolan, former Jacksonville defensive coordinator Greg Williams and former Browns coach Romeo Crennel. Nolan and Crennel both have extensive experience with a 3-4. That makes two now, the number of coaches that Mike McCarthy will now need to replace. Special teams coordinator Mike Stock retired last week. Green Bay Packers Mike McCarthy revealed little during his more than half-hour year end press conference at Lambeau Field on Wednesday morning. When asked if he&apos;s confident the team made the right decision at quarterback, McCarthy said, "Yes, I think we definitely made the right move at the quarterback position. I was pleased with the productivity from the quarterback position. From an individual standpoint, I think Aaron Rodgers played at a very steady, steady level, which was a high level, based on his statistics. He&apos;s given us a baseline, a standard that we will hold him to and the offensive group as we move forward." Then McCarthy was asked What he liked most about Rodgers&apos; play and he said, "Well, he held true to the type of quarterback that I felt that he was going to be, as far as his decision-making ability and his ball accuracy. That was something that he showed in his opportunities as a young player in our first couple years here, and he was able to sustain that for 16 games. So, that&apos;s what I was most pleased about. He was very good outside the pocket, making plays with his feet. I thought he was smart in space. He took a couple hits early in the season that you didn&apos;t see later in the season. I thought he lerned from his mistakes. The beauty of Aaron he&apos;s young, and he has the opportunity to only improve, but I think he has a good baseline to start from." When asked about his own performance, McCarthy said, "I didn&apos;t get the job done. We&apos;re 6-10. Now, I can&apos;t stand up here last year and take the credit for our record last year. It starts with me, the coaches and the players. There&apos;s always a play or two, you&apos;d like to have back. I think our teams were prepared, our teams played hard. It was clearly evident all the way through the season, there wasn&apos;t one time that I walked off the field where I didn&apos;t think that we were gout there giving it everything we had. So, we didn&apos;t get it done. It was close. I&apos;m not looking for moral victories, because they don&apos;t count. We lost 10 games, and I didn&apos;t do a good enough job. Summarizing some of the other thoughts from the coach today, when asked about possible coaching changes, McCarthy said he&apos;s right at the beginning of that process. He said he hasn&apos;t made up his mind yet on that matter. Veteran cornerback Charles Woodson suggested earlier that the Packers need more veterans on defense. McCarthy didn&apos;t necessarily agree and said that&apos;s a convenient opinion. He said it&apos;s convenient to attack the youth of the football team, but he&apos;s fine with the team and is ready to work to improve on the base corp of players they will have for next season. When asked if he liked the defensive scheme enough to keep it for 2009, regardless of wh&apos;s coordinating. McCarthy said all of the schemes are under evaluation right now, but offered no other hint at any change. McCarthy said injuries are not an excuse for the 6-10 season. He said injuries are a part of the game and they probably didn&apos;t overcome the injuries as well as they should have. So you can see, not much was revealed by McCarthy. 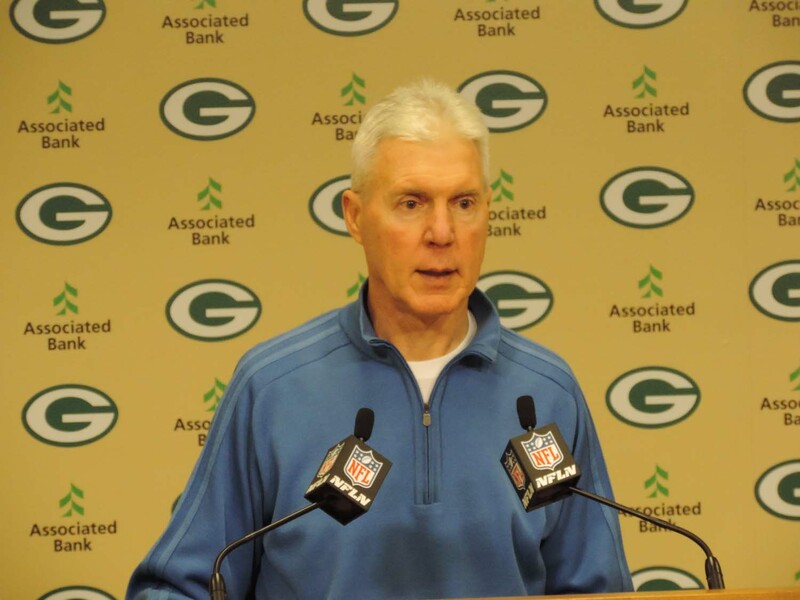 Earlier this week, GM Ted Thompson appeared as a guest on McCarthy&apos;s TV show and said that the 6-10 season has done nothing for him to change his mind about free agency vs. building through the draft. Retired NFL receiver Andre Rison was arrested and cited for public intoxication after an early-morning disturbance at a San Antonio hotel. The former five-time Pro Bowl player was arrested shortly after 2am Monday. Police were called to the hotel after Rison and a friend caused a scene at the Crown Plaza Riverwalk. Rison paid an $85 fine for the misdemeanor offense and was released. Rison won a Super Bowl with the Green Bay Packers in 1997 and played for seven NFL teams. He played three seasons for the Kansas City Chiefs from 1997-1999. His best year was with Atlanta in 1993, when had 1,242 yards and 15 touchdowns. No coaching announcements out of Green Bay yet, but defensive coordinator Bob Sanders and special teams coach Mike Stock are the most likely to lose their jobs. Packers head coach Mike McCarthy is expected to have a number of qualified defensive coaches to pick from, but he may be looking at considering a move from within. The St. Louis Rams have already reportedly asked the Packers for permission to interview assistant coach/linebackers coach Winston Moss for their vacant head coaching position and the Packers will likely allow that discussion to take place. St. Louis&apos; interest could signal to McCarthy that it&apos;s time to promote Moss to defensive coordinator. Moss is highly coveted by McCarthy. Less than 24 hours after losing 31-21 to the Green Bay Packers at Lambeau Field, Rod Marinelli has been fired as the head coach of the Detroit Lions. Marinelli&apos;s Detroit Lions just capped off an 0-16 season to become the worst team in NFL history. The 1976 expansion Tampa Bay Buccaneers (0-14) were the last NFL team to complete a season without a victory. Marinelli isn&apos;t the only coach to draw a pink slip today. Cleveland released head coach Romeo Crennel and Eric Mangini was fired in New York, which opens up the Jets coaching duties for former Steelers coach Bill Cowher. The Green Bay Packers 6-10 finish has landed them the 9th pick in the April NFL Draft. It&apos;s just the fourth time the Packers have had a top 10 selection since 1990. In 1992, they selected Terrell Buckley at No. 5 overall; 2001 when they selected Jamal Reynolds at No. 10 and 2006, when they selected AJ Hawk at No. 5. The Packers also pick up the Jets 3rd round pick in the trade for quarterback Brett Favre. The Jets missed out on making the playoffs, which in turn cost the Packers a 2nd round pick instead of a 3rd round selection. The Packers also know all of their opponents for next season. They&apos;ll play home games against the Vikings, Bears, Lions, San Francisco 49ers, Seattle Seahawks, Dallas Cowboys, Baltimore Ravens and Cincinnati Bengals. On the road, the Packers will play at Minnesota, Chicago, Detroit, Arizona, St. Louis, Tampa Bay, Cleveland and Pittsburgh. The Green Bay Packers once again appeared to dominate an opponent, then squandered a 14-3 halftime lead and fell to the Chicago Bears 20-17 in overtime. 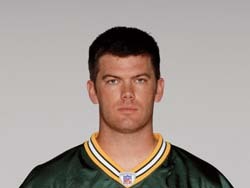 After the Packers had Mason Crosby&apos;s (pictured) 38-yard game winning attempt blocked, the Bears responded in overtime with Robbie Gould&apos;s 38-yarder to send Chicago to victory. It kept the Bears playoff hopes alive heading into the final week of the season, while the Packers dropped their 5th in a row and 7th out of the last 8, falling to 5-10. It&apos;s the Packers first 5-game losing streak since 1990 and the Packers have now lost 7 games by four points or fewer this season. 325-210 for the game. Aaron Rodgers finished 24 of 39 for 260 yards and two touchdowns with an interception. Yet couldn&apos;t get a defensive stop late when they needed it, allowing the Bears to score the game tying touchdown. And there continues to be nothing special about the Packers special teams this season. The Packers allowed Danieal Manning to bring back a kickoff 70-yards. Meanwhile, kicker Mason Crosby booted a kickoff out of bounds, missed a 45 yard field goal and than had the potential game winning 38-yarder blocked. Being in position to win games and not following through is the story of the Packers season and another chapter was written last night. The Packers will get one final chance to win a game this season. They&apos;ll take on the winless Detroit Lions at Lambeau Field this Sunday. 5-10 vs 0-15. How could this be interesting? Well, the NFL has never had an 0-16 team. There are those that would love to see it happen. And then there&apos;s the intrigue of the Green Bay Packers. Can they put it together one final week to make sure they aren&apos;t the answer to a trivia question? Green Bay Packers safety Nick Collins and defensive back Charles Woodson were named to the 2009 NFC Pro Bowl squad on Wednesday. Both players were named as starters to the team. It&apos;s Collins first Pro Bowl selection. He&apos;s tied for the NFC lead with five interceptions and has returned three for touchdowns. Woodson is a Pro Bowl pick for the 5th time and first since joining the Packers. He also is tied for the NFC lead with five interceptions and has returned two for touchdowns. The Packers last had two members of the secondary in the Pro Bowl in 1974. Wide receiver Greg Jennings, cornerback Al Harris and defensive end Aaron Kampman are all alternates for the NFL&apos;s all-star game which is scheduled for Feb. 8th.